We have less than a month for our current crystals to make their way to their forever homes! 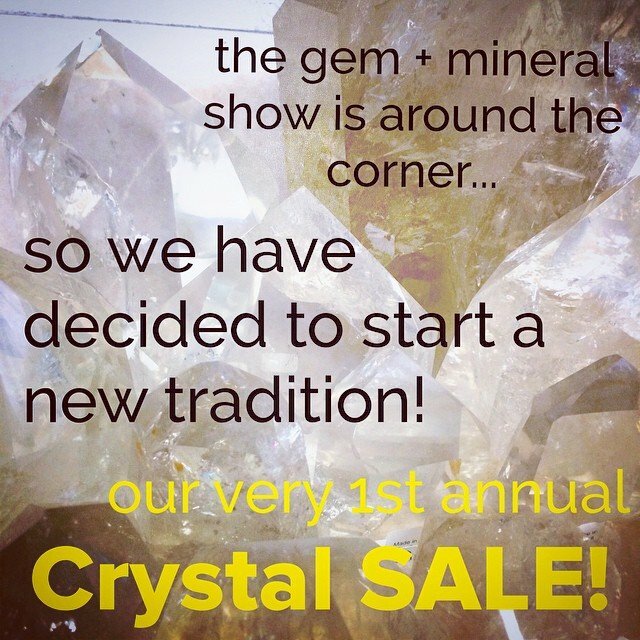 We need to make room for the new collections, so next week our month long sale will kick off – each week working our way up to 50% off all crystals by valentines day! 20% off all crystals starts NOW! A pre sale just for our social media followers so you MUST mention "secret sale" when we ring you up! You have a week until everyone knows!